Whether you’re attending USC, Clemson, Winthrop or another South Carolina college or university, being arrested and charged with a crime as a college student can have lasting effects on your personal life and professional career. Sometimes college students find themselves on the wrong side of the law; however, making a mistake in college should not detrimentally impact a young person’s future. Having an experienced criminal defense attorney on your case can mean the difference between a clean record and a bright, successful future and spending time behind bars. Loss of student/on-campus housing privileges. Students should be in the classroom, not the courtroom. Let us help make that a reality for you if you or a loved one are facing criminal charges. We have years of experience dealing with USC Student Arrest cases, and we would be glad to help with yours. We welcome calls from parents and students. 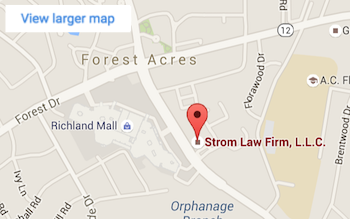 Protecting your future is important, so call the Strom Law Firm today, and we will be glad to schedule a free, confidential consultation to discuss your USC Student Arrest.